Until recently, two unique features set out-of-home (OOH) advertising apart from other forms of media in the industry – its minimal content requirements and large presence in a physical place. In the past, OOH’s single focus was on location placement without excessive regard to the content of the piece. With advancements in technology and the growing presence of digital screens in public places, the OOH arena is evolving fast. In fact, for the past eight years, OOH has seen consecutive growth in advertising revenue (OAAA). The increasing digitization of OOH mediums has created an expectation for consumers that worthwhile OOH provides value and location data. These deepening consumer expectations have driven advertisers to change their mindset and create content-driven OOH advertising, shifting focus from location to target audience-based messaging. Digital-out-of-home (DOOH) advertising is taking the outdoor ad area by storm. 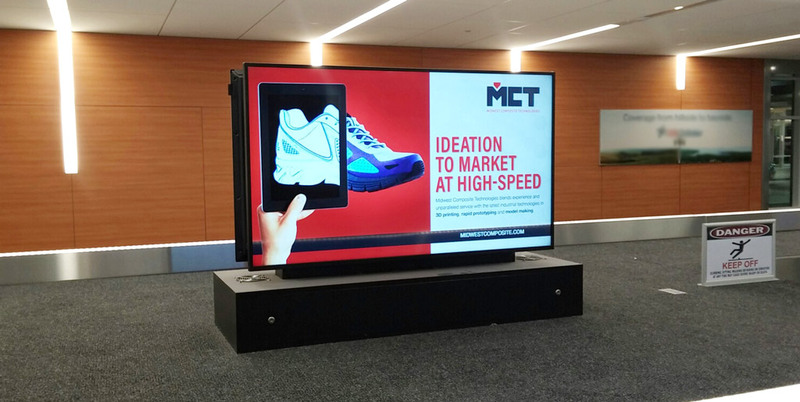 The medium couples traditional OOH advertising with digitally-focused execution like electronic billboards and signs. By 2019, an estimated $4.5 billion will be spent on DOOH advertising in the USA. Zenith Electronics forecasts that DOOH will grow faster, globally, then all other buying methods. Further, PricewaterhouseCoopers predicts that DOOH advertising revenues will overtake traditional media spend in 2020, growing at a rate of 15% a year for the next four years (Michael Wehner, AdAge). DOOH advertising takes the importance of location placement and enhances the ad experience with digital content that is tailored to the location. The DOOH landscape is vast and encompasses a number of outlets including digital billboards, information kiosks in retail centers, and even backseat screens in a taxi cab. What makes DOOH unique is its ability to reach the consumer in a real-world setting. Instead of interrupting video playback on sites like YouTube or forcing an ad into a consumer’s social media feed, DOOH it is focused on ad placement outside of personal digital devices. 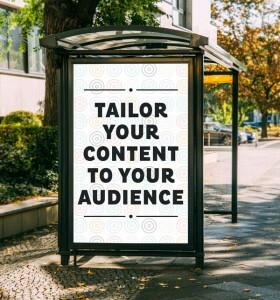 DOOH gives advertisers the opportunity to share the right message at the right time with content that is valuable and engaging based on the outlet. Video reels in cabs offer longer video content, digital billboards can highlight or rotate information, and kiosks can provide valuable user information like weather or news updates while advertising a product. Today’s consumer wants value. They are blind to traditional advertisements and, frankly, no longer respond well to them. In a 2016 survey conducted by The Neilsen Group, 71% of digital billboard viewers found that digital OOH ads stood out more than online ads. Whether it be through information or entertainment, designing ads that engage the consumer will outperform static ads and have a greater impact. Engaging content could take the form of news, weather or transit updates, fun facts, or local event information. This type of information sharing grabs the consumer’s attention and provides unique advertising opportunities outside of the flooded digital space. Because content plays an important role in DOOH advertising, it is important to treat DOOH as you would any other digital campaign. Develop your target audience, find what channels reach the majority of that audience, and create content that will result in conversions. 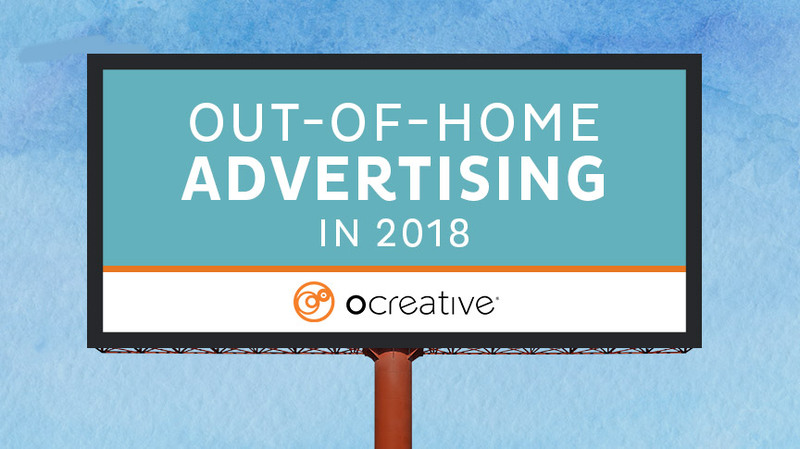 With the OOH landscape evolving at a rapid pace, we anticipate the following trends will gain momentum throughout the end of 2018 and into 2019. OOH is starting to incorporate omni-channel campaigns through mobile GPS tracking. Mobile ads can be tied to certain, pre-defined, geo-located pinpoints based on where DOOH advertisements are placed. 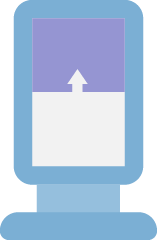 In short, when a user enters a pre-determined radius of a given DOOH campaign, it can trigger specific mobile ads that tie to the DOOH content in the area. This dynamic style of advertising has the potential to reduce ad spend on by limiting where the ad shows to only its most relevant areas and double the impact of the campaign by showing a single user multiple variations of the ad in an area relevant to the brand or company. 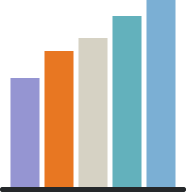 Advancements in data along with the recent decrease in data prices are making digital ads more accessible to smaller businesses with lower budgets. OOH data will provide opportunities for smaller-scale business to reach more people while targeting specific audiences. Outdoor advertising outlet owners are integrating marketing automation software to better track ad engagement and quickly change creative on OOH mediums. Gone are the days of waiting for billboard wraps to be printed and installed. This software will allow companies to offer up assets and publish to market faster and provide more opportunities to evaluate and perfect their DOOH strategy. If you are interested in creating an OOH or DOOH campaign, but are unsure where to start, contact us! We can create a marketing strategy filled with valuable content to grow your brand and reach your target audience.